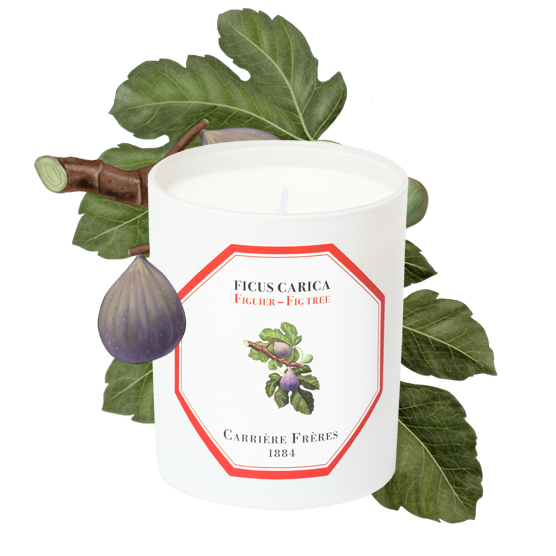 The fig tree, of the Moraceae family, grows on the Mediterranean basin where it has been cultivated for thousands of years. In France, figs were first harvested under Louis XIV. The melon is the fruit of an herbaceous plant of the same name discovered in Africa. 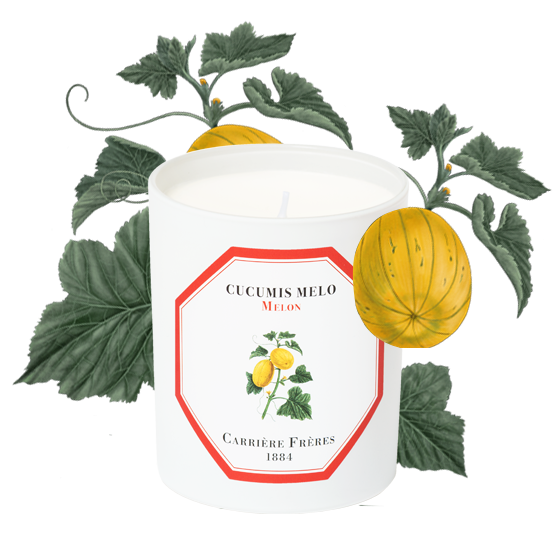 A member of the Cucurbitaceae family along with the cucumber and the pumpkin, its sweet flesh is watery and gently fragrant. The melon only ripens in southern lands. 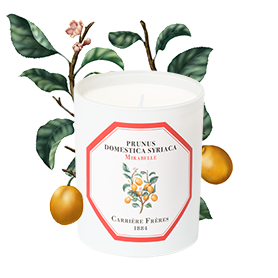 A fruit from the prunus domestica family, the Mirabelle is, by definition, “beautiful to look at”, from the Italian mira bella. Known since the Antiquity as prunus domestica syriaca, the plum tree was cultivated in Asia Minor, throughout Persia and Eastern Europe. 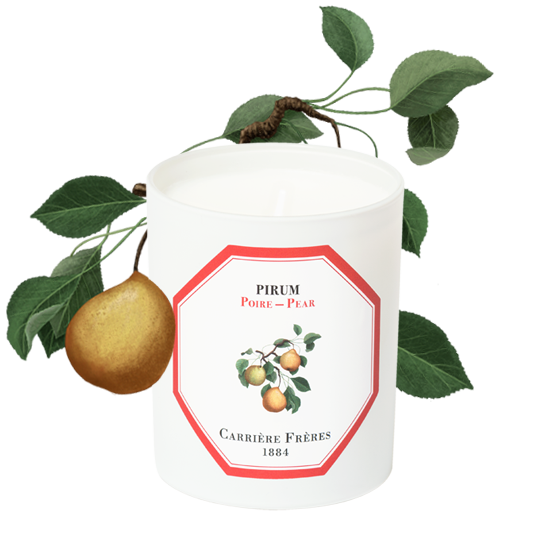 Pirum is the Latin word for pear; it refers to the edible fruit that grows both in summer and in winter. 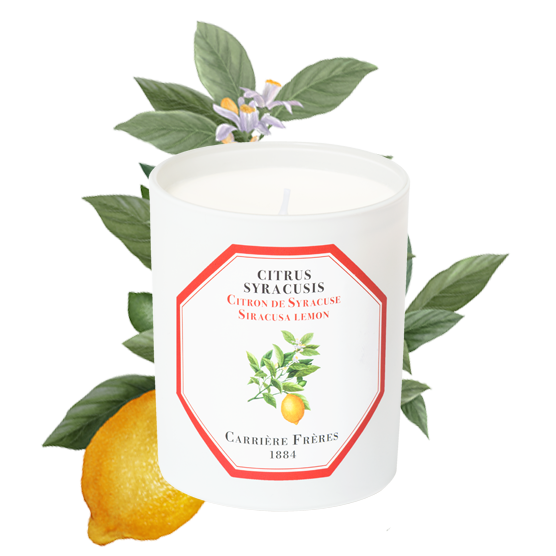 This citrus fruit has been cultivated for 3,000 years and belongs to the Rutaceae family. Originating in Kashmir, it was first brought to Europe via the Muslim conquests of the Middle Ages and the Portuguese and Spaniards later began planting it in the Americas. 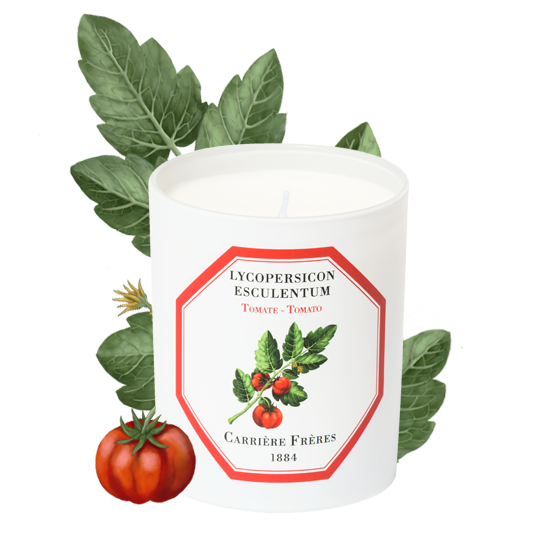 The tomato, a berry of the Solanaceae family, is one of the most popular fruits in the world. Few people know that it was first grown in South America, and that its name comes from the Inca “tomalt”.